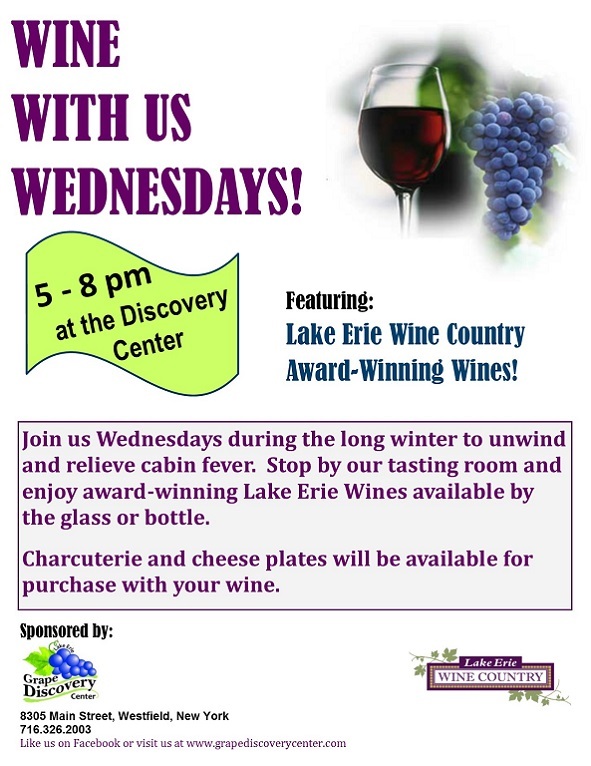 Grape Discovery Center - The official Visitor's Center for the New York State Lake Erie Concord Grape Belt Heritage Area. 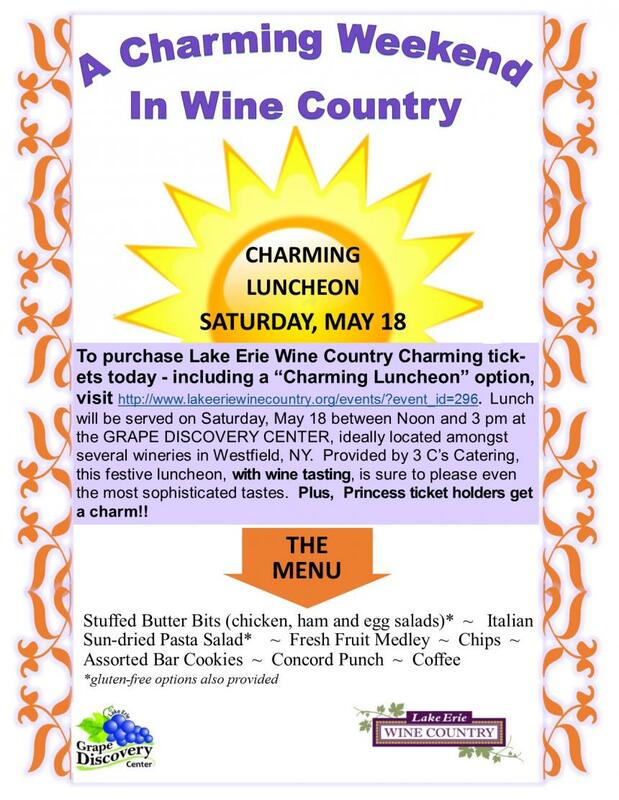 Concord grape juice, Concord wine and many wine varietals from the Lake Erie Region. 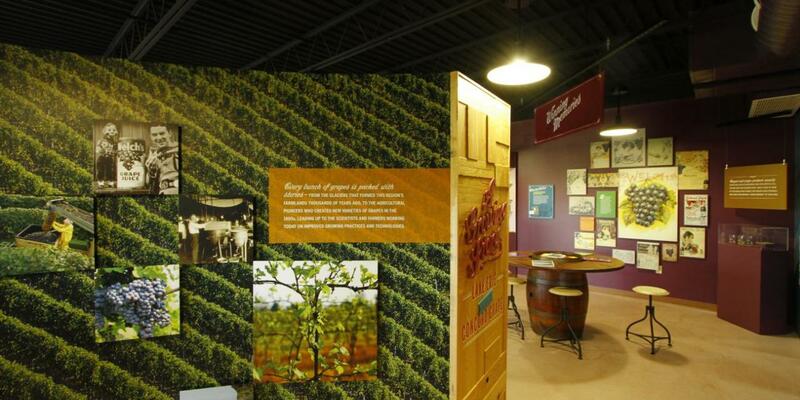 Explore exhibits to learn about the Concord grape and 150 years of grape growing in the Lake Erie region. 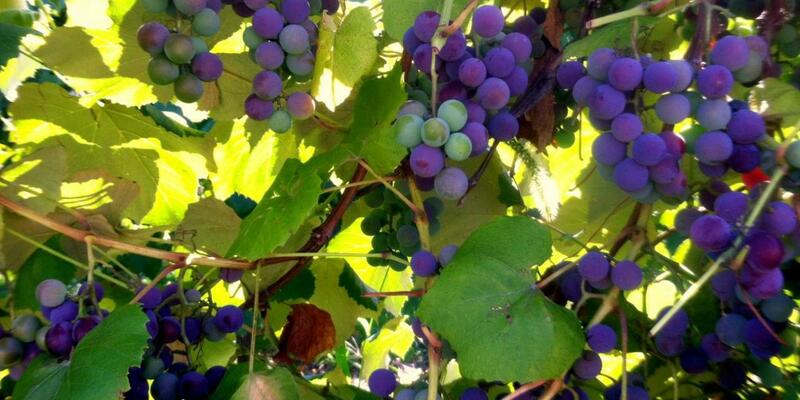 Learn as we share our stories, and engage, educate, and inform the public about our grape and wine heritage. 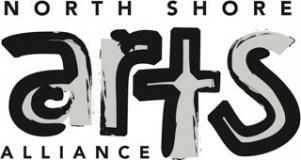 Shop for “grapey” gifts as well as regional artwork and crafts in the Center's store. 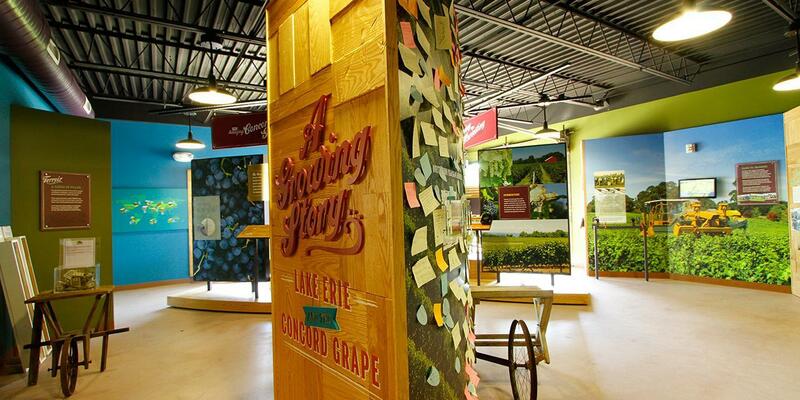 Visit the Grape Discovery Center in Westfield, NY and view exhibits and displays that tell the story of over 150 years of grape-growing along the southeastern shores of Lake Erie in western New York and northwestern Pennsylvania. This area is home to the oldest and largest Concord grape-growing region in the world and is bursting with natural beauty, historic communities, and places to explore. From wineries and museums, to festivals, fishing, shopping and dining, you’ll find plenty to discover and enjoy in America’s grape country. Take home a sampling of Concord based grape products from America's grape country or order a Concord Grape Experience Basket from our Online Store. 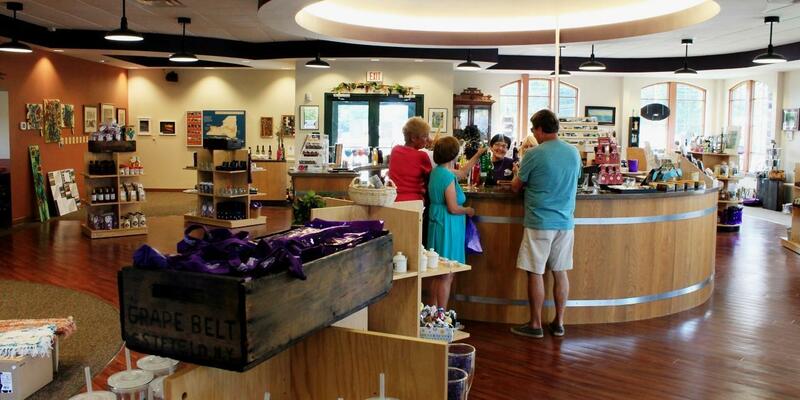 The Grape Discovery Center is Open!